If you have your own memories of June and would like to share them with others, please send them to me so that I can add them to our 'Memories of June Bronhill' page, or alternatively, please sign my GUESTBOOK. I'll be updating frequently, so please check back often. This site is unofficial and is not affiliated with June Bronhill's family. 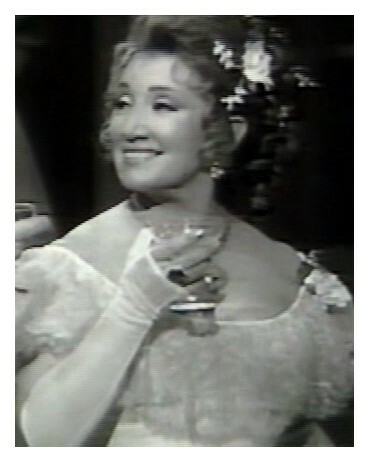 Welcome to my website which celebrates the life and career of June Bronhill, one of the most popular Australian sopranos of the 20th Century. 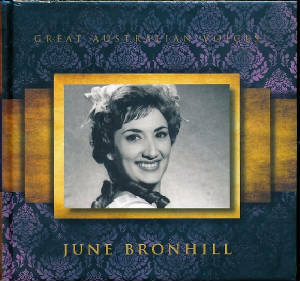 The latest June Bronhill CD release GREAT AUSTRALIAN VOICES from Desiree Records is a very welcome addition to the Bronhill discography. A 3 CD collection, it includes many of June's operatic performances, all of which were previously unreleased. A must for any Bronhill fan and obtainable from Desiree Records on Ebay Australia.